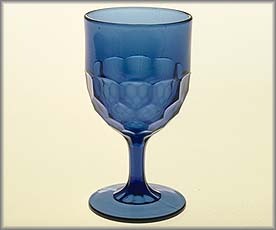 The characteristics of durability, inertness, and transparency make glass an ideal material for storing food and drink. 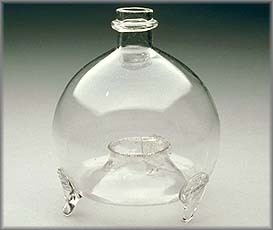 Glass containers allow us to see how much remains, and to observe potential changes in the contents. With the ability to transmit light while shielding a flame or glowing element from air or wind, glass is a natural for use in lamps, light bulbs, and other devices for giving and throwing light. 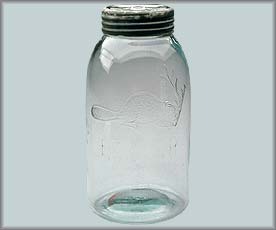 Canadian families once stored everything from cosmetics and household cleaners to medicines for human or veterinary uses in glass. Glass timers, rolling pins, scrubbing boards, and even fly traps were part of most households. 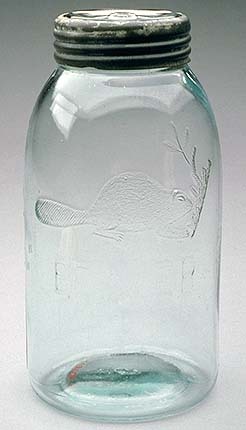 Canadian glass companies produced an incredible variety of items for both domestic and industrial use. 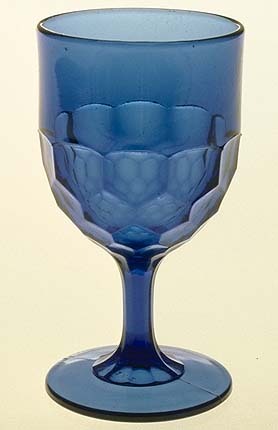 In 1926 Dominion Glass manufactured a wide range of bottles, tableware, lamps and lantern globes, as well as doorknobs, percolator tops, fishbowls, bird feeders, and furniture shoes. 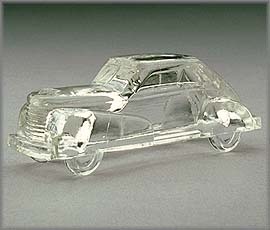 Some 5,000 moulds were available and 500 customers were supplied with made-to-order items. 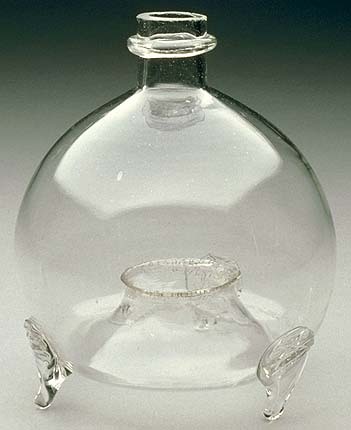 Although glass is no longer considered suitable for children's toys, there have been many playthings made of glass throughout history. 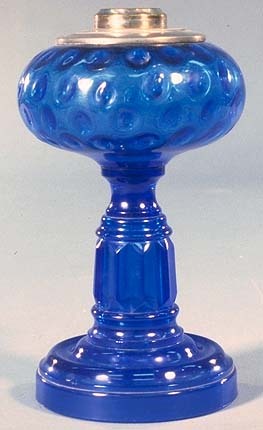 "Smoppers" were specially blown glass balls that produced a satisfying "pop" when thrown against a wall. 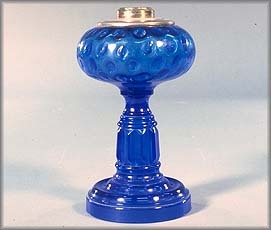 Toy banks, candy containers, and marbles are traditionally made of glass. Miniature glass tea sets and tableware are as functional and beautiful as their life-size counterparts. Glass lantern slides used in candle-powered lantern projectors were the counterparts of today's home videos.